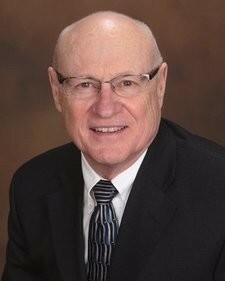 Loyd J. Stroup, founder of Stroup Financial Strategies, LLC, began assisting families with financial issues in 1968. Soon after his career began with a major life insurance company, he provided the type of services that have since become financial planning. As a result of his desire to assist his clients with all their insurance and planning needs, he became licensed to market variable insurance products in 1971 and property and liability insurance in 1972. Mr. Stroup's holistic approach to his client's financial affairs contributes to his success in building one of the larger independent insurance agencies in Colorado Springs. His more recent focus on intricate retirement and estate planning issues has proven invaluable in the development of tax-efficient stragegies for the accumulation and distribution of his client's retirement assets and the transfer of their estates*. A continuous committment to professional education is evidenced by his completion of studies through the Insurance Institute of America and the designation of Accredited Advisor in Insurance (AAI) in 1983. After the completing the CFP Professional Education Program through the College for Financial Planning in Denver, Colorado, Loyd received the designations of Qualified Financial Planner (QFP), Registered Financial Consultant (RFC), and Certified Retirement Counselor (CRC) in 2002. In addition to his involvement in the community and his church, he is committed to professionalism through his membership in the International Association of Registered Financial Consultants. * Stroup Financial Strategies, LLC does not provide legal services or counseling, but provides financial services in conjunction with a client's personal legal representative and/or may consult with a qualified legal professional as required for the client's particular financial situation.